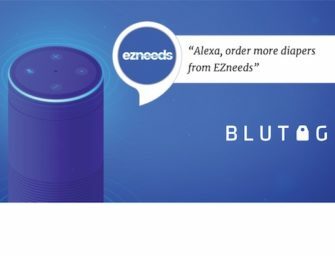 One of the recent updates to the Amazon Alexa smartphone app now allows user to share Alexa skills with one tap. The new sharing feature can be found on the upper right corner of any Alexa skill card in the app. Once you click on the “Share” icon, you have the option to share it via text, email, Facebook, Twitter or Pinterest or to copy the Alexa skill URL. It also appears you do not to have enabled the skill in order to share it. Sharing through social media provides a link card to the Alexa skill with the hashtag #AlexaSkills. On Twitter, it also tweets at the Amazon Echo account automatically. Before there was no way to easily share a skill – it was even difficult to pin down the Alexa skill URL without logging out of your Amazon account to get the correct URL destination. The new feature eliminates this friction making it easier for both users and Alexa skill developers to share their favorite skills. This can only help to facilitate discovery and drive user engagement. While over 20,000 skills means there is a skill for everyone and everything, for users, it can be overwhelming. Now with one tap, users who find a useful Alexa skill can share it with their followers giving it a larger audience. It also gives skills a larger marketing platform as I doubt that the majority of Alexa users check the Alexa Skill Store every day for new skills. But what do most people check every day? Their Facebook and Twitter feeds.